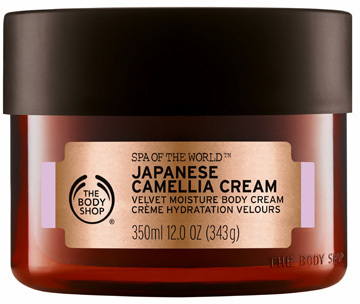 The Body Shop Spa Of The World™ Japanese Camellia Cream is a body cream that delivers intense moisture, leaving skin soft and smooth. Camellia oil is rich in oleic acid, which hydrates skin and enhances the barrier against moisture loss. It is part of the Spa of the World collection. I decided to splurge on this body moisturiser because the fragrance was just so good. It is expensive at $53 - especially if you rarely go above $15 for cocoa butter - but it is quite a big tub. I found that it absorbs really well - particularly on slightly damp skin just out of the shower. As mentioned the smell is amazing so I found myself using it morning and night which is probably why I got through it so quickly. My one criticism with this moisturiser would be the packaging. I just don't think a tub is practical or particularly hygienic (especially when your husband is sticking his hairy great hands in there!). Its awkward to get the lid off with wet or damp hands as its so big. For body creams I definitely prefer a pump or bottle. I both like and dislike this cream because while I really love the creamy Camellia fragrance that this cream has, the fury with which I have to rub the cream for it to absorb into my skin is really frustrating. It simply will not absorb and will skate on the surface of my skin if I don't rub it in. I'm not sure if that was originally intended with this cream but it puts me off repurchasing for this reason. Otherwise, this cream is not too thick, really does soften skin (once it absorbs!) and has fairly mild moisturising properties. It comes in a very large tub so this will last you for quite a while. On that basis, the quantity is value for the price. I prefer to use this cream straight out of a hot shower so my skin is moist enough to better absorb the cream contents. As a body cream. I would not recommend this for the face.  The Body Shop's Japanese Camellia Cream is a super lightweight, ultra hydrating cream. With everyday use, the cream (thanks to the camellia in it) actually helps to soften the skin over time. The cream has a very soft floral fragrance, that leaves you feeling pampered and relaxed after every use. Only use small amounts of the cream as it spreads very far. The size of a 20 cent piece is enough to do a full leg. Anyone that wants beautiful, glowing, hydrated skin without have to use a thick and heavy cream. I received a TBS Spa of the World gift box for Christmas and the Camellia Cream would have to be my favourite item from the beautiful box of gorgeous body treats. This body cream feels unlike anything I've used. It's a cream, but it has a bit of a bounce/spring to it - kind of like a jelly. It absorbs beautifully into my skin and smells absolutely gorgeous. The fragrance is long lasting but not overpowering, so combine that with the rapid absorption and you have a body cream that is great for day or night use. I absolutely love the packaging, which looks very luxe, but I wish it was a bit smaller as 350ml is a massive amount.